for what is typically referred to as the handwriting of a "literate" person. It is a cardinal principle of forensic document examination that no two people write exactly alike. A second, equally important principle is that one person never writes their own signature or extended text exactly the same. You can test this theory by writing your own signature five times and then trying to overlay them on top of each other. There are always subtle differences. We aren’t machines and things like our motor movements, along with surface and writing instrument affect our precision. It is the job of the questioned document examiner to establish the writing characteristics and the range of variation within a body of writing. This is then compared against suspect writers until a conclusion is reached. So what can go wrong? Lots of things. Experience, sufficiency of comparison standards, and legitimacy of standards all come into play. It is the legitimacy that is at the root of this discussion. On April 25, 1983, Stern Magazine reported that the Hitler Diary had been discovered. Over the next 2 years, the magazine paid about $10M marks to a "Dr. Fischer," who had orchestrated the recovery of the still hidden diary. The volumes of the diary were being smuggled in by Fischer from East Germany, one at a time in pianos. It was not known at the time, but Dr. Fischer was in fact, Conrad Kujau who made his living forging handwritten Mein Kampf manus and paintings "by Hitler." He had now convinced Stern magazine that the true Hitler diary had been discovered. How did he do that? Through the handwriting it was determined that the writings within the diary volumes matched writings previously identified as Hitler’s. Confused? Well, it seems that Kujau, aka Dr. Fischer had himself forged the comparison standards that were then used by legitimate document examiners, hired by Stern to authenticate the writings. It was later determined that the inks were chemically modern and recently applied to paper and that there were numerous historical inaccuracies and anachronisms found within the text. Further tests showed the books were produced after the 1950’s based on composition of the paper and that one of the monograms on a particular volume read "FH" instead of "AH." The story ends with Mr. Kujau being sentenced to 4 ½ years and dying in the year 2000. 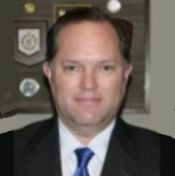 Larry F. Stewart has earned an AA degree from Florida Tech University, a BS in Forensic Science degree from the University of Central Florida, and a MS of Forensic Sciences degree from Antioch University. He has worked as a forensic scientist for over 25 years. During that time he has worked on many notable cases to include; Unabomber, accused war criminals, e.g. John Demanjuk, a.k.a. Ivan the Terrible, the reinvestigation of the Martin Luther King/JFK/CIA conspiracy theory, Jon Benet Ramsey, 9/11 attacks, Martha Stewart, and DC Sniper. He has testified as an expert witness in state, federal, military and foreign courts of law. He has also testified at The Hague and before the U.S. Congress. In his position as Lab Director and Chief Forensic Scientist for the US Secret Service, he managed up to 120 scientists, technicians, and support staff. In 2005, Mr. Stewart began the independent forensic consulting and investigative firm known as Stewart Forensic Consultants, LLC.